Whether you fancy yourself a singer-songwriter, you like to occasionally strum the guitar, or you're simply a lover of all things music, putting your passion on bold display can turn a plain home into a harmonious paradise. 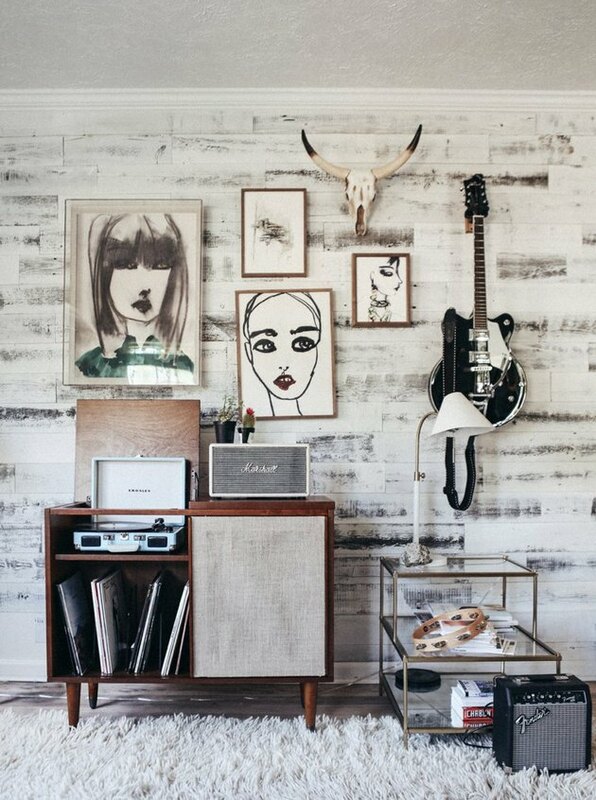 From a decked out home music studio to a vintage record player complemented by a few melodic accents, there are so many ways to highlight your favorite pastime at home. 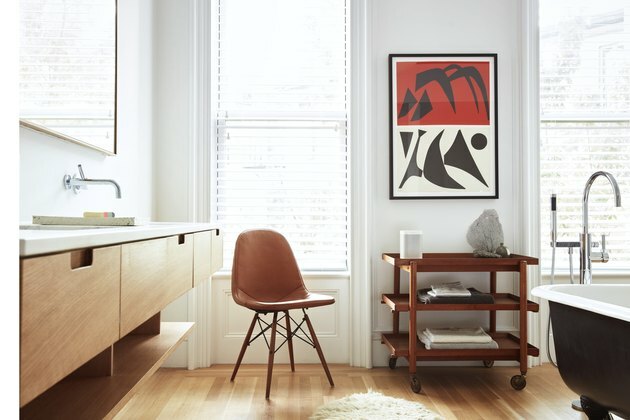 So in the wise words of songstress Corrine Bailey Rae, "girl [and guy], put your records on" and check out these 14 rockin' accents that will make any music enthusiast feel right at home. There's no reason your Bluetooth speaker can't have style (beyond "a plain black box"). This little number, reminiscent of a guitar amp, packs powerful audio into a cool, retro package. And it comes in three different shades — cream, black, or brown — to blend in seamlessly with the rest of your decor. 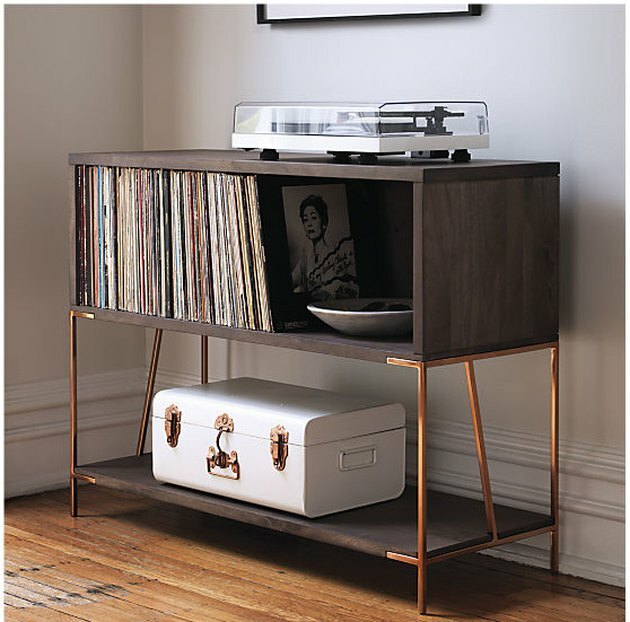 Display your extensive vinyl collection and turntable in elegant style with this gorg record cabinet. The copper-lacquered legs and rich mango wood combine to create a stylish storage option perfectly sized for your beloved LPs. 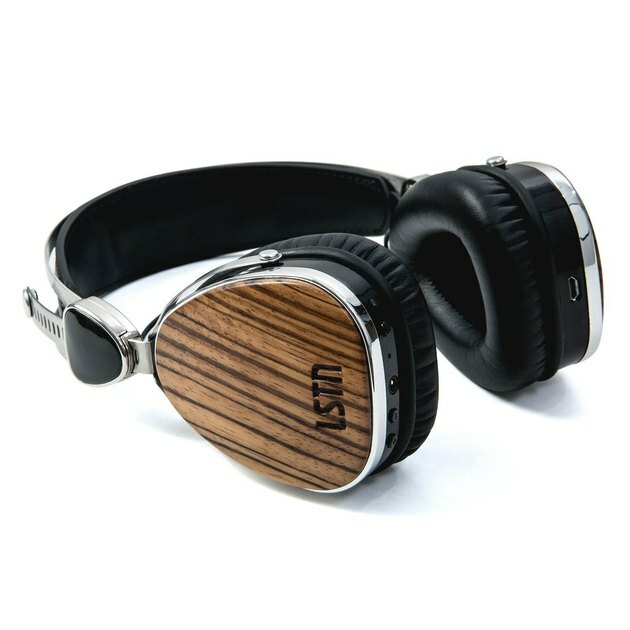 Like a lot of musical instruments, these wireless zebrawood headphones are made with wood to provide "excellent tonal balance." But, their good looks and excellent sound quality aren't even the best part — LSTN donates a portion of all sales proceeds to provide hearing aids to those in need around the world! So not only will you look good while listening to your favorite tunes, but you'll also be helping others, too. Forget searching through dusty crates for your fave album by The Cure. You'll be listening to the sweet sounds of "Friday I'm In Love" in no time with these European birch record dividers. Laser-engraved by genre on the front and the back, you can rest easy knowing your collection is neatly organized and ready for your listening pleasure. 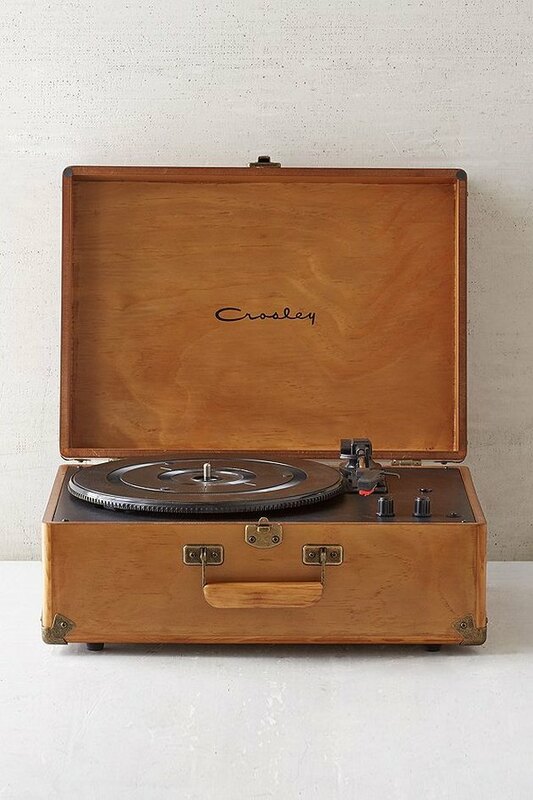 Every true music connoisseur needs a vintage-style record player like this stunning beauty. Whether on a shelf, dresser, or console table, this wood player makes a big impact. But, don't let its retro looks fool you: This little turntable has built-in speakers and it's Mac and PC compatible, too. 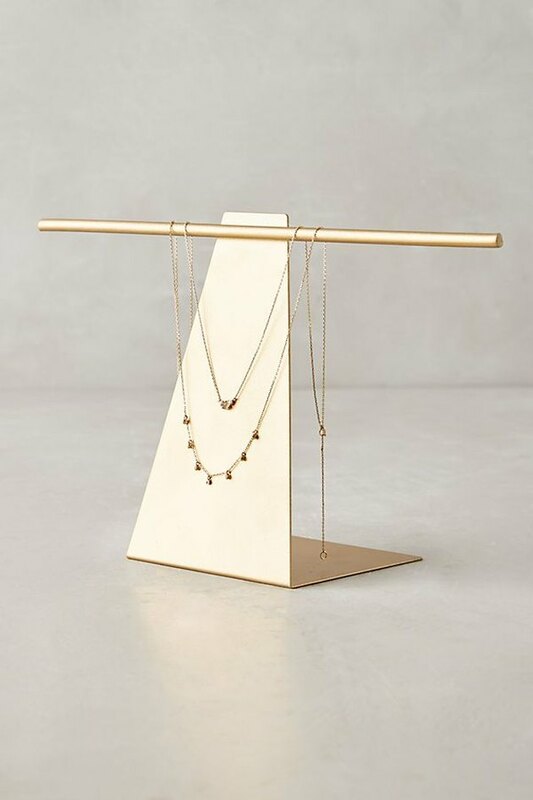 Extend your love of music to your jewelry storage with this gold stand that mimics the classic, geometric shape of a ticking metronome. 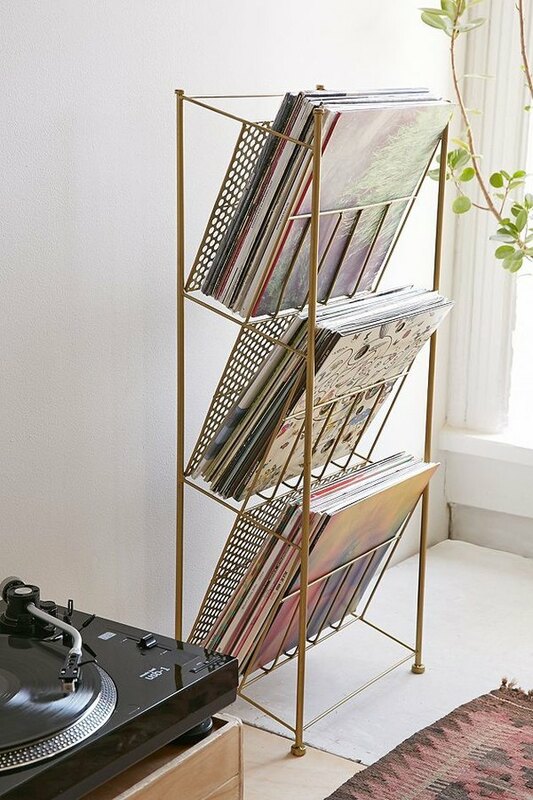 If your vinyl collection is on the smaller side — meaning, it doesn't require an entire wall of shelving to store — then this gold metal rack is perfect for you. With three shelves, there is ample space to organize your LPs and maybe even a few magazines as well. 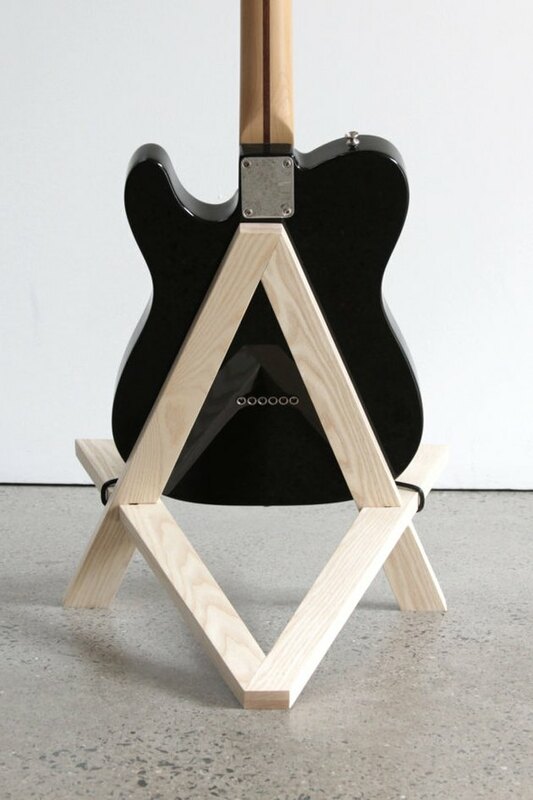 Your guitar will be sitting oh-so-pretty in this minimally-designed stand named after the Swedish word for "chair." Handmade from solid ash wood, it's collapsible so this beauty can travel with you wherever the music takes you and your guitar. Warning: Reading this might induce head-bobbing and toe-tapping. 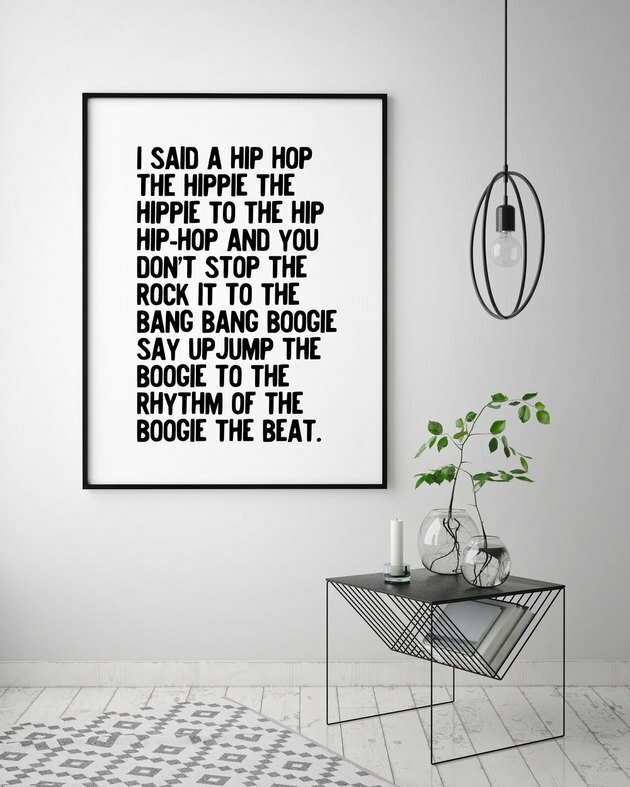 This Rappers Delight art print is a must-have for any music lover's abode. And you can even get it in a mini version perfectly-sized for your desk. Handcrafted in Kenya, this conical-shaped instrument is a celebration of tribal tradition. 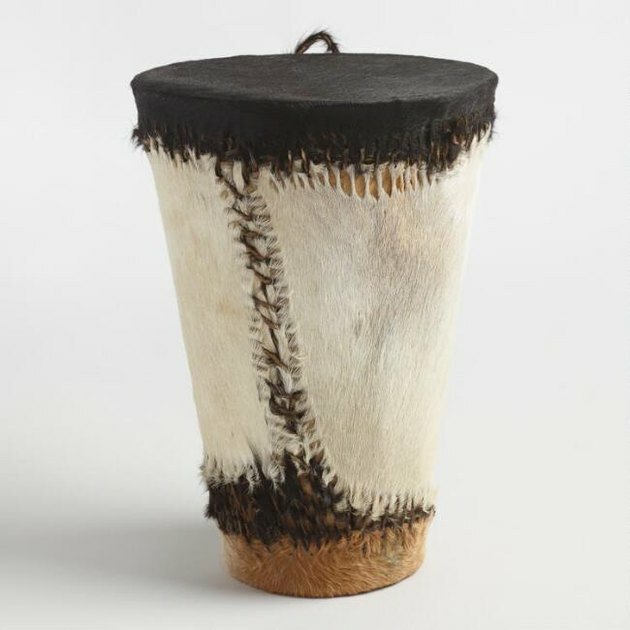 Made from wood and cowhide, you will definitely be marching to the beat of your own drum while making sweet music. Keep the party going in every room of your home by outfitting each space with this incredibly smart speaker. It comes with Amazon's Alexa built-in so you can control your music and check the traffic with just the sound of your voice, and without losing a beat. 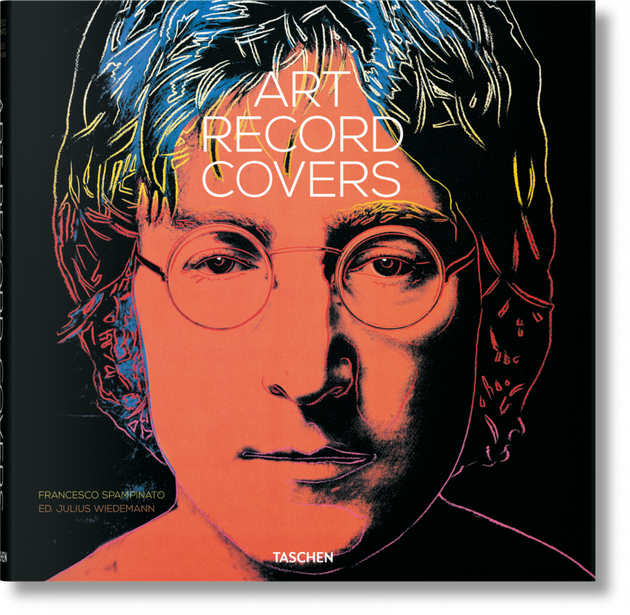 Whether a little bit country, or a little bit rock 'n' roll, all of your guests will appreciate this gorgeous tome filled with over 500 album covers. Spanning from the '50s to today, flipping through the glossy pages of this coffee table book offers a welcome lesson in musical art history. 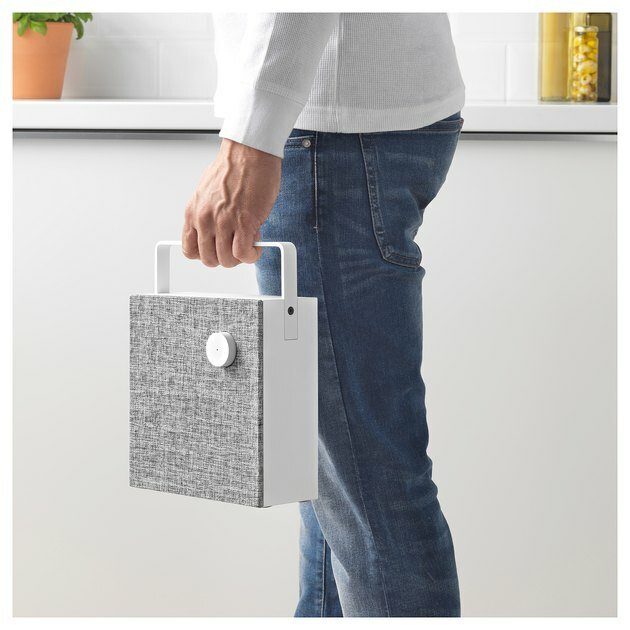 Whether you mount it on the wall, stand it on a table, or carry it with you, this minimally designed, portable Bluetooth speaker will not disappoint. You can even remove the mesh fabric front to expose the speaker for a more industrial look. Time flies when listening to your collection of '90s classics. But that doesn't mean your furniture needs to suffer. 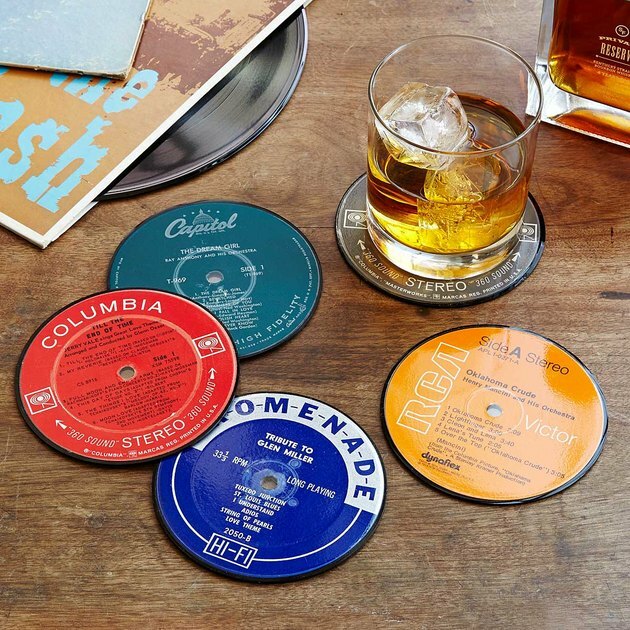 Protect your new midcentury coffee table with these retro coasters handmade from reclaimed records.